There are several types of heating, venting, and air-conditioning systems for your home or business on the market today, from split and mini-split systems to central HVAC units in Murfreesboro . If you’re looking to upgrade to a new HVAC system, choose one that suits your needs. Residential and commercial HVAC systems can be fueled by either electricity or natural gas—of the two, HVAC units powered by electricity are more energy efficient than ones powered by gas. Central cooling systems have large, separate condensers that can take up space whereas mini-splits have compact ones connected directly to the unit. Heating systems can either utilize furnaces or boilers. Before you buy your next HVAC system, be sure you know what you should be looking for. Check out this video to learn more about the types of home heating and cooling systems. Most homeowners tend to know little about their homes’ heating, venting, and air conditioning systems—that is, until something goes wrong, or if a new home is being purchased. To avoid having to deal with an HVAC emergency blindly when your system malfunctions, or to deal with a problem that could have been easily prevented, you should strive to be informed about your HVAC in Murfreesboro . Along with knowing the age, make, and model of your heating and cooling system, be sure to know how to maintain it, as well as when you need to replace it. Here are some common HVAC mistakes to be mindful of. If your air conditioner is acting funny, or your heater isn’t heating the room as effectively as it used to, don’t ignore the issue in hopes that it may resolve itself in time. The sooner you deal with the problem, the sooner you’ll have peace of mind. Contact a reputable professional who specializes in central heating and AC repair, as well as comprehensive HVAC maintenance. Be sure you completely understand your homeowner’s insurance policy, all available warranties regarding your HVAC system, and your utility company’s service policies. Never assume that you’re covered if something goes wrong. Though it may be a tedious task, read the fine print in every contract and warranty you own. If you need to replace your HVAC system, don’t assume your new system is going to be energy efficient just because it’s new. There are many models on the market today—some more energy efficient than others. Enlist the help of your HVAC specialist, and opt for an official ENERGY STAR unit. Most municipal utility companies offer homeowners rebates for installing energy-saving models. There’s nothing wrong with saving money. However, your sole focus when purchasing a new HVAC system shouldn’t be acquiring the cheapest unit possible. Heating and cooling systems are pricey, but their high costs are worth it. After all, you want to spend more money upfront for something that’s going to last for years to come, rather than going for the bargain unit that may break down prematurely, or that may cost you more in repeated repairs in the long run. 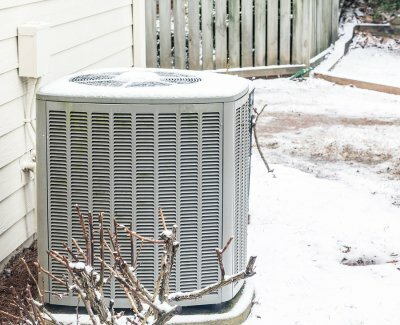 Although most air conditioner issues require the attention of a professional, you can attempt a few simple troubleshooting steps to try and solve the AC problems you are experiencing. For example, if your air conditioner is not blowing cold air, inspect the air filter and clear or replace if necessary. Also check for leaks around your outside unit, as this may indicate low Freon levels. Watch this video to learn more about basic AC troubleshooting and repair. Still experiencing air conditioner problems? To get your AC system back up and running as quickly as possible, enlist the help of a professional HVAC repair technician . Air conditioner service companies in Murfreesboro can quickly diagnose your AC troubles and perform the necessary repairs to restore your indoor comfort. Some HVAC repair companies offer 24/7 emergency service, which means you don’t need to sleep through a warm and uncomfortable night if your air conditioner goes out after regular business hours. What Might be Wrong with Your Air Conditioner? It might be wintertime in Tennessee, but that doesn’t mean it’s wrong to be thinking about the upcoming summer months. After all, summers in the south can be brutal without a properly working air conditioner. To make sure you stay cool all summer long, here’s a look at some common AC problems you might experience and a few easy troubleshooting tips you can try on your own. If you haven’t already done so, be sure to identify a quality HVAC company in Murfreesboro so you know who to call for AC repair without delay. This is one of the easiest problems to spot, but it’s not necessarily the easiest problem to troubleshoot on your own. Start by checking that the thermostat is working properly and that it is either receiving electrical power or has charged batteries inside the control unit. You can also check to see if the air conditioner circuit is tripped. 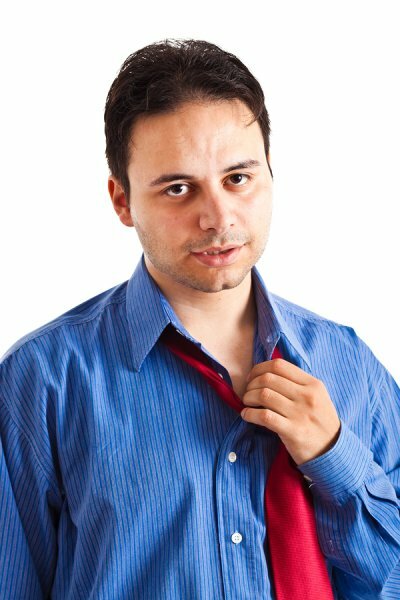 If you can’t figure out what’s causing your air conditioner problems, call an HVAC professional in to get to the bottom of it. Another common problem you are likely to experience with older air conditioners is non-cooled air coming out of the vents when the AC unit is running. In some cases this problem might be due to a dirty air filter , so the first thing you should do is to make sure that the filter in the air handler is clean. You can also try to clean out the condensate drain and outdoor compressor to get the cold air blowing again. Although most air conditioners make some noise while running, there’s a noticeable difference between the usual operating sounds and squealing, grinding, or popping. If you hear a squealing sound, check inside the air handler to make sure the belt is properly connected. Grinding noises, on the other hand, should be addressed by an HVAC repair professional right away as this typically indicates that the motor’s bearings are shot.